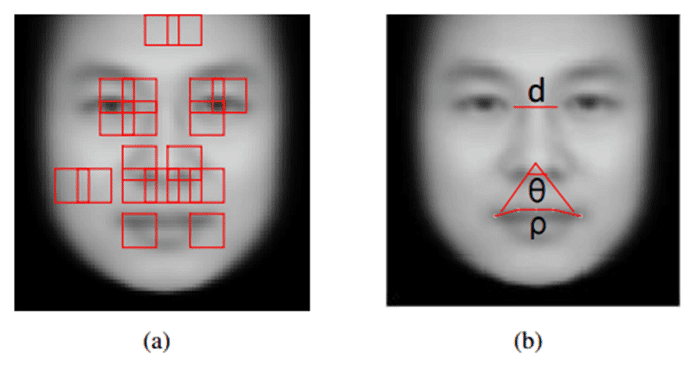 For the first time, scientists from the Shanghai Jiao Tong University have developed a new program to detect criminality just by analyzing facial features. Through supervise machine learning, they built four classifiers using facial images of 1856 real persons. Nearly half of them were criminals. The four classifiers are the logistic regression, KNN, SVM, CNN. All four classifiers perform consistently and generate proof for the validity of automated face-induced inference on criminality. The criminal and non-criminal face images occupy two different manifolds. It consists of both criminal and non-criminal faces that are concentric. It means normal people have a greater degree of similarity as compared to criminal people faces. Researchers said, “This is the first study that automates face-induced inference on criminality. It is free of any biases of subjective judgments of human observers. By extensive experiments and vigorous cross validations, we have demonstrated that via supervised machine learning, data-driven face classifiers are able to make reliable inference on criminality. Two Chinese researchers, Xiaolin Wu and Xi Zhang are quite serious about their work. They fed into a machine learning algorithm facial images of 1,856 people. For this, they used standard ID photographs (not mugshots) of Chinese males between the ages of 18 and 55. The men did not have facial hair. Additionally, they were tensed about the criminal face images in Sc are normal ID photos, not police mugshots. After that, they used 90 percent of these images to train a convolutional neural network to recognize the difference. They then tested the neural net on the remaining 10 percent of the images. n go back, the classifiers executed very well and gave proof for the validity of automatic face-prompted inference on criminal activity. In return, the classifiers performed very well and gave proof for the validity of automated face-induced inference on criminality. According to MIT Technology Review’s discussion, the neural network could correctly identify criminals and noncriminals with an accuracy of 89.5 percent. Researchers found that criminals have 19.6 per cent smaller nose-mouth angle, a larger upper lip curvature at 23.4 percent, and a 5.6 percent shorter distance between the inner corners of the eyes. There is no such software created in a vacuum. People designed software. People who set out to infer criminality from facial features are not free from inherent bias.